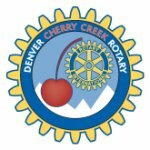 Cherry Creek Perspective – December 2018 | James Real Estate Services, Inc.
Each business day for Real Estate Perspective, the JRES staff reviews all Denver metro area wide and local newspapers, trade journals, government websites, blogs and other sources for commercial and residential real estate and economic news. News items are condensed into easily readable summaries providing all of the essential facts for the Real Estate Perspective newsletter. And Apartment Perspective, provides a detailed update of Denver metro area apartment rental, vacancy and development/construction activity including proposed projects. Emerging Trends in Colorado: Peak Real Estate? Where: Hilton Denver City Center, 1701 California St.
Full breakfast included. Come early to network! Denver and Colorado continue to rank highly in ULI/PWC’s annual global survey of investment trends in real estate. But experts think that headwinds may be gathering as the era of easy money and low interest rates begins to transition. Will you and your business be ready? Join ULI Colorado for information and networking at his annual breakfast – always one of our biggest and best. The 2019 Housing Colorado Legislative Luncheon provides a unique forum for legislators to connect with affordable housing professionals – and to demonstrate Housing Colorado’s diversity and our commitment to secure resources for the development and preservation of affordable housing throughout Colorado. You will have the opportunity to meet and educate legislators on the benefits stable, safe housing brings to the communities and constituents they represent. We also have invited Governor Elect Polis’ staff on the administration’s ideas and positions on affordable housing. Arrive early at 10:30 am for the issues briefing which will cover current and anticipated legislative bills during the 2019 session. Mobility Choice Blueprint – Denver Metro Area – Take the 2nd Quiz to get $1 off your first 3 rides with Lime Scooter! 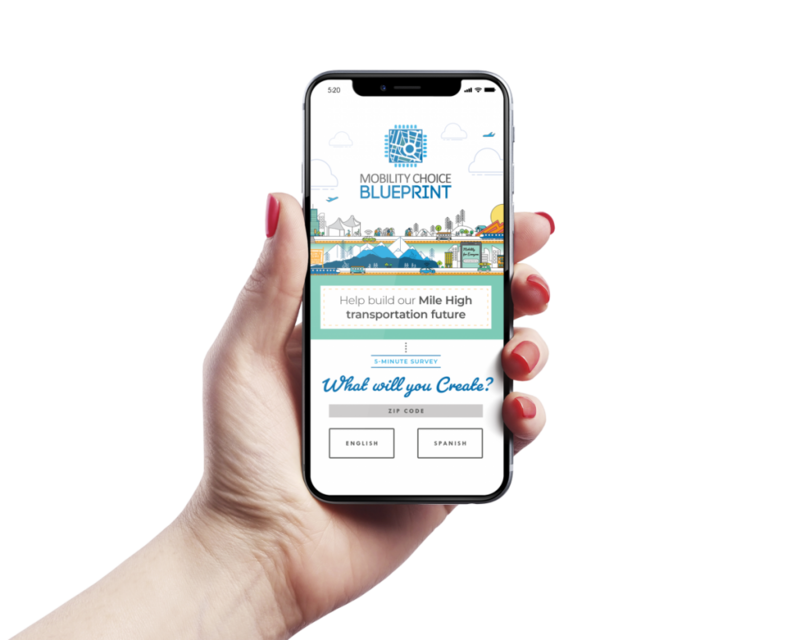 The Mobility Choice Blueprint is a collaborative strategy to help the Denver metro region identify how to best prepare for and invest in the rapidly changing technology that is revolutionizing transportation mobility. A unique planning and funding partnership of CDOT, DRCOG, RTD and the Denver Metro Chamber is creating the Mobility Choice Blueprint – a coordinated strategic direction for the evolving mobility of the region related to walking, bicycling, driving and transit. The 2030 Blueprint will analyze travel trends and technologies in the region, explore and evaluate various technologies and their implications for mobility, align transportation investments of multiple public agencies and create new planning and implementation partnerships. RTD reports that recently, the Federal Railroad Administration (FRA) sent the Regional Transportation District a letter outlining concerns pertaining to RTD’s commuter rail lines partially financed, designed, built and operated by our Concessionaire, Denver Transit Partners (DTP): a consortium of private companies which includes a unit of Fluor Corp. (Fluor), a unit of John Laing PLC (John Laing), Balfour Beatty Rail Inc. (Balfour Beatty), Aberdeen Infrastructure Investments, Alternate Concepts (ACI) and Ames Construction (Ames). These concerns included DTP’s compliance with the FRA waiver conditions and FRA regulations. FRA required RTD to submit an acceptable corrective action plan within 30 days. Regulators made clear that they will approve quiet zones on the University of Colorado A Line and the G Line once the grade-crossing warning system reliably activates as designed by DTP. In addition, FRA will allow revenue service demonstration testing on the G Line once RTD and DTP have satisfactorily addressed its concerns. Working with DTP, RTD says it timely submitted a detailed action plan to address FRA’s concerns. RTD will do everything possible to ensure that the plan is accepted and implemented. Millions of people have depended upon RTD’s safe, reliable commuter rail service and demand is growing. To accommodate increased ridership on the University of Colorado A Line, for example, we are planning to double the capacity by adding cars to these trains starting next month. RTD is proud of the safe, reliable service – and 97-percent on time performance – that we provide on our commuter rail lines. It is our distinct privilege to deliver the public to their destinations every day. The plan outlines steps to be taken to resolve FRA’s concerns within one year. As outlined in the plan, DTP and RTD are analyzing the data it collects to isolate problems and solutions based on each specific crossing. RTD will verify DTP’s findings. RTD has asked DTP to increase the technical resources dedicated to this effort. RTD says it has used and will continue to use all tools at our disposal to ensure that DTP continues to address and resolve these concerns. “RTD values our relationship with our regulators and is in lockstep with their interest to ensure public safety. There will always be opportunities to do better. RTD strives for continuous improvement in the performance of this system, and we look forward to FRA’s review of the plan.” The RTD Action Plan to FRA is posted on the RTD CORA website. To access, click on the link below, then go to Top CORA Requests, then scroll down until you see the graphic just below. On December 20 CEO and General Manager of RTD Dave Genova met with Federal Railroad Administration (FRA) officials in Washington, D.C. to discuss the RTD oversight plan and grade crossing action plan submitted on December 14. As a result of the meeting, FRA responded that they were impressed with the commitment demonstrated by RTD, DTP and the RTD Board, and that the plan submitted provides a viable path forward. RTD and DTP are to provide additional information and data and will do so shortly. RTD and DTP are committed to meeting the requirements of regulatory agencies. At this time we do not have an opening date for the G Line, but we remain focused on reaching the requirements so that regulators will approve quiet zones on the University of Colorado A Line and the G Line and FRA will allow revenue service on the G Line. The RTD Board of Directors approved a new fare policy that will take effect on January 1, 2019. The fare changes include an increased discount for riders between the ages of 6 and 19, fare increases for Local, Regional and Airport trips, and the introduction of a three-hour pass which will replace a three-hour one-way transfer. The new fare policy will maintain the EcoPass, Neighborhood Pass and CollegePass programs with prices based on trips taken. The changes also include the introduction of a low-income program that is estimated to start mid-year 2019. Denver City Council Member Mary Beth Susman reports Denver recently instituted the Neighborhood Sidewalk Repair Program (NSRP) to address sidewalks that are damaged, uneven, or sloping excessively. This city-wide program will ensure we have a well-maintained sidewalk network and better conditions for traveling. The program’s goal is to address these damaged sidewalks; it is not installing missing sidewalks. The city has a separate initiative, the Sidewalk Gap Program, that is working to fill gaps in the sidewalk network. The city is only requiring like-for-like replacement as part of the sidewalk repair program and the repair program will not increase sidewalk width. The City and County of Denver is currently in the design phase of creating a safer and quicker High Line Canal Trail connection at Mississippi Avenue and Parker Road by building an underpass. Join them for an open house on Wednesday, January 16, 2019 from 6 – 7:30 pm at the Galilee Baptist Church located at 1091 S Parker Rd, Denver, CO 80231. Council Member Clark also reports the Alameda underpass between Broadway and Santa Fe Drive is now identified as a priority project. This year Public Works removed a non-functional bridge near Alameda & Cherokee St. and hired a staff person to spearhead the public process. Now we need your help identifying your needs for the underpass. What would you like to see improved on? What transportation issues are important to you? Public Works has launched the website Connect Alameda to get your opinions. The US Department of HUD reports that President Donald Trump recently signed an Executive Order establishing the White House Opportunity and Revitalization Council and named U.S. Housing and Urban Development (HUD) Secretary Ben Carson as its chairperson. The Council’s 13 Federal member agencies will engage with governments at all levels on ways to more effectively use taxpayer dollars to revitalize low-income communities. The Council will improve revitalization efforts by streamlining, coordinating, and targeting existing Federal programs to Opportunity Zones, economically distressed communities where new investments may be eligible for preferential tax treatment. Additionally, the Council will consider legislative proposals and undertake regulatory reform to remove barriers to revitalization efforts and present the President with options to encourage capital investment in economically distressed communities. In 2017 President Trump signed the Tax Cuts and Jobs Act, creating Opportunity Zones to stimulate long-term investments in low-income communities. The program offers capital gains tax relief to those who invest in these distressed areas. This program is anticipated to spur $100 billion in private capital investment in Opportunity Zones. Incentivizing investment in low-income communities fosters economic revitalization, job creation, and promotes sustainable economic growth across the nation, especially in communities HUD serves. Read more about the Opportunity Zones program. Opportunity Zones are a powerful vehicle for bringing economic growth and job creation to the American communities that need it the most. On average, the median family income in an Opportunity Zone is 37 percent below the state median. To date, 8,761 communities in all 50 States, Washington D.C., and five Territories have been designated as Opportunity Zones. Nearly 35 million Americans live in communities designated as Opportunity Zones. Currently, there are approximately 380,000 Public Housing units and approximately 340,000 Project-Based Rental Assistance units within Opportunity Zones. Nearly a third of the more than 100,000 rental units preserved through HUD’s Rental Assistance Demonstration (RAD) are located in Opportunity Zones. The Tax Cuts and Jobs Act, lowered the corporate tax rate from 35% to 21% starting in 2018. The change sharply reduced the need companies have to invest in tax credits to offset their tax burden. As a consequence, the prices investors pay for Low-Income Housing Tax Credits (LIHTC’s) fell by more than a dozen cents for each dollar of tax credit, reducing the total amount of affordable housing that the program is likely to produce by about 235,000 over 10 years, according to analysis by Novogradac and Co. The average size of a new U.S. apartment has shrunk 5 percent over the last 10 years, while the average price has risen 28 percent. The average floor plan of a new apartment measures 941 sq. ft., but that is still larger than the overall average of 882 sq. ft.
It’s no secret that the mountain resort towns of Colorado are hurting for affordable housing units for workers, teachers, police officers and other folks who are necessary for a town to function, many of whom have been priced out as homes shift to short-term rentals. But as Jason Blevins writes, a project redeveloping the AmericInn Hotel just off I-70 in Eagle could be a blueprint for how to cheaply convert existing buildings in these towns into much needed housing stock. Denver City Council Member Robin Kniech reports Council unanimously approved a bill to extend the minimum affordability period for rental projects receiving City subsidies or built under City requirements from 20 years to 60 years. Many affordable projects being built in Denver were already being restricted for 40 years or more due to state tax credit criteria. The new 60-year requirement will take effect February 1, 2019, following more stakeholder input on rules that need to be adopted for implementation. The same bill also made minor amendments to the City’s Preservation Ordinance to clarify definitions and notice requirements for the City’s right of first refusal when affordable properties are sold. These updates were called for in the City’s five-year housing plan and the 2018 Annual Action Plan. Longer affordability will help reduce the risk of displacement of low and moderate-income residents by limiting the risk of conversion of affordable housing to market-rate housing. As a response to the current real estate affordability crisis in the Denver region, FirstBank, Colorado Health Foundation (CHF), The Denver Foundation (TDF), Colorado Housing and Finance Authority (CHFA) and local nonprofit Urban Land Conservancy (ULC), have launched the Metro Denver Impact Facility (MDIF). This revolving loan capital will grow to become a $50 million resource to support ULC’s real estate acquisitions to create and preserve the affordability of housing, nonprofit facilities, schools and community serving space across Metro Denver. FirstBank has committed $25 million to the MDIF. CHF was the first lending partner, providing a $2 million program-related investment to support strategic acquisitions. In addition to TDF, additional low-interest capital has been committed from philanthropic and quasi-governmental lenders. Denver City Council Member Paul Kashmann reports the Council passed a rezoning application put forth by Denver-based Kentro Group that permits mixed-use residential, commercial and retail development of 3, 5 and 8 stories on 13-acres of ground at 4201 East Arkansas Avenue, the long-time home of the Colorado Department of Transportation (CDOT). The vote was 11-1. Kashmann cast the lone dissenting vote. CDOT put the Arkansas Avenue site up for sale in 2016, along with another 11-acre parcel at 2000 S. Holly St., with plans to move services and personnel from both locations to new digs by Mile High Stadium. By law, they gave first crack at the property to other governmental entities. Mayor Hancock felt it was in the city’s best interest to try to control the destiny of these sizable chunks of land in line with stated priorities, rather than leave their development to chance. I agreed with that decision. CDOT selected Denver as the potential buyer, and in early 2017 a contract was drawn up for Denver to purchase both parcels for $19.25 million (Arkansas Avenue- $14 million and S. Holly Street – $5.25 million). The existing “Campus” zoning for the Arkansas Avenue site allowed for residential and commercial uses up to 150 feet in height (approximately 12 stories), while the “mixed-use” zoning in place for South Holly Street was considerably more restrictive, limiting height to 3 stories and uses to residential, light industrial and limited retail. Rather than hold the property, craft new zoning and then seek proposals to implement that zoning (my preferred approach), the administration decided to seek out a builder to take ownership of the land, and take over the rezoning and implementation roles. Kentro group was chosen, and a contract written that called for Denver to purchase the property from CDOT and simultaneously flip the land to Kentro. Kentro was required to hold a public process aiming to rezone the Arkansas site to meet community goals. The contract also called for construction of at least 150,000 SF of commercial space creating at least 200 permanent jobs, and to build at least 150 housing units affordable to people making no more than 60 percent of Area Median Income. If those requirements were not met within 7 years, Kentro could satisfy the contract with cash-in-lieu payments. And, should the rezoning attempt fail, they would be permitted to develop the land under the existing Campus zoning. Kentro agreed to honor the zoning in place on South Holly Street, announcing plans to build around 170 for-sale townhomes (3-story, market rate), and perhaps either a small senior housing element or neighborhood retail on the northern end of the site. From the time the contract between Denver and Kentro was proposed, I expressed great dissatisfaction with the buyout option attached to the affordable housing piece on Arkansas Ave. and asked that the cash-in-lieu be eliminated. Denver is land-locked and we should not be building housing anywhere without an affordable component. After a few public meetings (there ended up being eight in all), Kentro announced plans to “downzone” the site from “Campus” zoning and its 12-story maximum height to the proposal mentioned above that allows a broader mix of uses and drops maximum height to 8 stories. While no tenants were, or have since been announced, in addition to housing there has been talk of extending Belaire Street through the site creating an “Old South Gaylord-style” mix of retail with a local-business presence. Kentro has a history of anchoring retail projects with grocery stores. I am very interested in the housing and retail elements under consideration, but I am also extremely concerned about the developer’s projections that their plans could increase auto-trips going to and from the site by as much as 10,000 per day. I am concerned the existing road infrastructure won’t be able to handle that pressure without traffic spilling over into the neighborhoods in unsafe numbers. While urging Kentro to consider a substantive reduction in the overall density they were seeking, I began working with them and city agencies to put pieces in place to help mitigate the effects of density were their proposal to pass. I introduced the developer to Transportation Solutions, a Cherry-Creek based Transit Management Agency that works to reduce auto travel by increasing multi-modal transit options. Transportation Solutions delivered a report on options for Kentro that could reduce auto trips to and from the property by 10 to 20 percent or more. A Development Agreement signed by Kentro and the city as an addendum to the sale contract further requires Transportation Demand Management techniques to be an element of each site plan filed for the property. To get a leg up on traffic mitigation, I brought together Kentro’s traffic consultant – Kimley Horn – with Denver’s traffic engineers and neighborhood representatives to discuss concerns and opportunities. While such meetings normally wait until firm site plans are developed, through the two meetings I hosted at least seven intersections were identified that need attention, along with potential improvements for each. Recognizing that demolition, site preparation and construction on Arkansas Avenue would be a multi-year effort, I reached agreement with the Mayor’s Manager of Major Projects to facilitate regular on-going meetings with my office, the developer, neighborhood representatives and staff from Community Planning and Development and Denver Public Works. I have found that when all sides are at the table, issues get resolved much more smoothly. The development agreement mentioned above also requires the developer to hire a single point construction manager who will help coordinate all activities on a site that could easily have multiple projects under construction at any given time. While the site has been rezoned, ownership still remains with CDOT. The sale is currently slated to close no later than the end of March. Between now and then, Kentro is expected to come before City Council with a Tax Increment Financing (TIF) proposal that would allow them to retain any increase in taxes generated on the site above current levels for a set period of time – usually around 20-25 years. These funds would assist with funding infrastructure improvements, including possibly beautification of the microwave tower that sits on the eastern border of the property (and will remain under state ownership), connecting the street grid through the site and other such elements. After the TIF period expires, all taxes will be re-directed to their normal taxing jurisdictions. Should that TIF application come forward and be passed, I would assume Kentro will proceed as they have indicated. Should it not pass, they could choose not to close on the purchase in which case the administration has stated they would also back away from the sale, which would leave CDOT searching for a new buyer. Kentro could also buy the property and sell, or somehow develop under a different scenario. Regardless, as long as any proposal is on the table I will do my best to work with all parties to create a development that enhances life in Virginia Village. I think a lot of things will need to go right for that to happen, but I am committed to do my part toward that end. While the rezoning process was under way, the Virginia Village Ellis Community Association ran into tough sledding, and was dissolved. I plan to assist the neighborhood in any way possible to get a Registered Neighborhood Organization up and running that can serve both the neighborhood and the city well. Stay tuned.